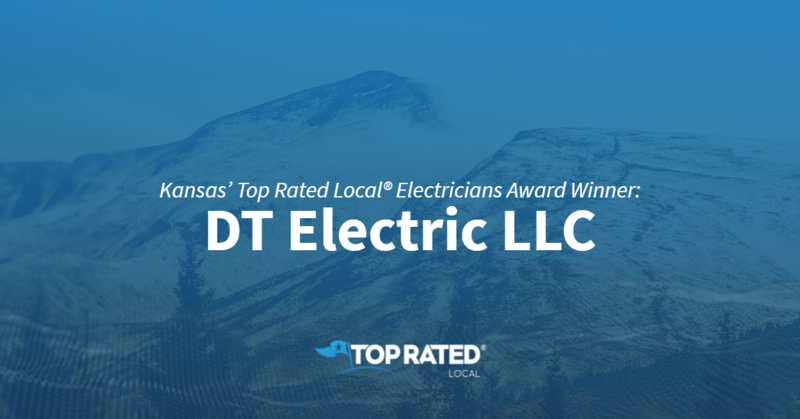 Top Rated Local® is pleased to announce that DT Electric LLC is a 2019 award winner for electricians in Kansas! When you need an electrician you can rely on in Manhattan, you need DT Electric LLC. DT Electric LLC has received dozens of reviews on five verified sites with an average rating of 5.00 stars, earning them a perfect Rating Score™ of 100.00 and two 2019 Top Rated Local awards for ranking among the top 100 businesses and the top 10 electricians in all of Kansas! “We are absolutely thrilled with our experience with DT Electrical. He always diagnoses what he thinks the problem is over the phone (THAT’S how good he is). He is always willing to squeeze us in his busy schedule. We never have to wait more than an hour. He gets right to the source of the problem and fixes it in a freakishly fast amount of time. We will always use him for our home electrical needs, and we highly recommend everyone use their services!” – Emily Q.
Dustin Taylor, the owner of DT Electric LLC, generously gave us a few minutes of his time to tell us about his award-winning business and its fantastic online reputation. “[We make the world a better place] by helping out those who don’t have the means to do it by providing a service that is affordable to everybody. We are not just a company; we are a family, and we try and treat everyone like it. Outside of building a powerful online reputation, Dustin has grown DT Electric LLC through word of mouth and advertising on Facebook, Google and Yelp. Dustin also told us that he’s working on growing DT Electric LLC’s social presence. Congratulations to DT Electric LLC for being a 2019 Top Rated Local award winner, and thank you so much, Dustin, for taking the time to speak with us! We highly recommend DT Electric LLC in Manhattan. Visit their website today! 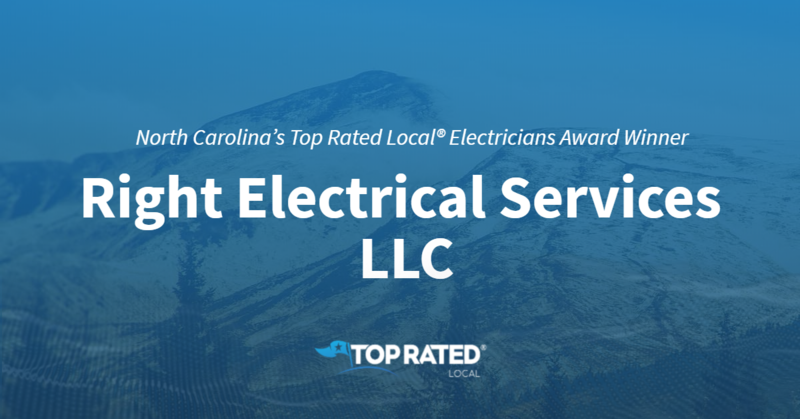 Top Rated Local® is pleased to announce that CMC Electric is a 2019 award winner for electricians in North Carolina! When you need an electrician in Raleigh who will get the job done right the first time, you need CMC Electric. CMC Electric has received hundreds of reviews on five verified sites with an average rating of 4.73 stars, earning them a stellar Rating Score™ of 97.31 and a 2019 Top Rated Local award for ranking among the top 10 electricians in all of North Carolina! “[I had a] great experience [with CMC Electric]. [I] got an email and text when my technician, Josh, was on his way. Josh arrived right on time. He was so friendly and understanding. He listened to my concerns and offered a simple solution. He never tried to ‘up-sell’ me or make me feel pressured. I’d absolutely use CMC again. (Josh was also very personable and easy to talk to!) [I had] a great experience.” – Lauran M.
In order to learn a little more about CMC Electric and their stand-out online reputation, we took a few minutes to talk with Derek Lainer, Service Compartment Manager. The first question we had for Derek was what sets CMC Electric apart from their competition in North Carolina. Derek told us that CMC is a local, family-owned and -operated company that’s been around for 15 years and running, and they offer their client’s a 100-percent warranty on their workmanship as well as on the products they provide. But according to Derek, it’s really their honesty and commitment to always being upfront that truly makes them stand out. Derek went on to tell us that they do “happy calls,” where they call a customer 10 minutes after the tech has left their home to make sure they are happy. Outside of building a powerful online reputation, CMC Electric has gotten their name out there through billboards, radio ads, wrapped and branded vehicles, ads at local movie theaters, branded uniforms, support for local schools and flyers. Congratulations to the team at CMC Electric for being a 2019 Top Rated Local award winner, and thank you so much, Derek, for taking the time to speak with us! 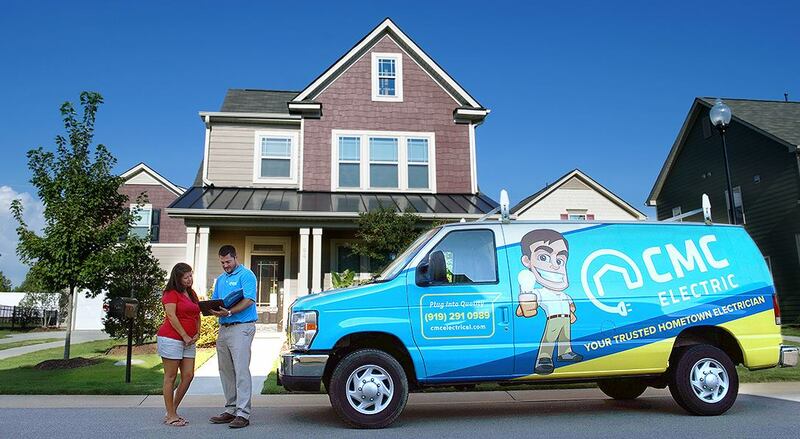 We highly recommend CMC Electric in Raleigh. Visit their website today! 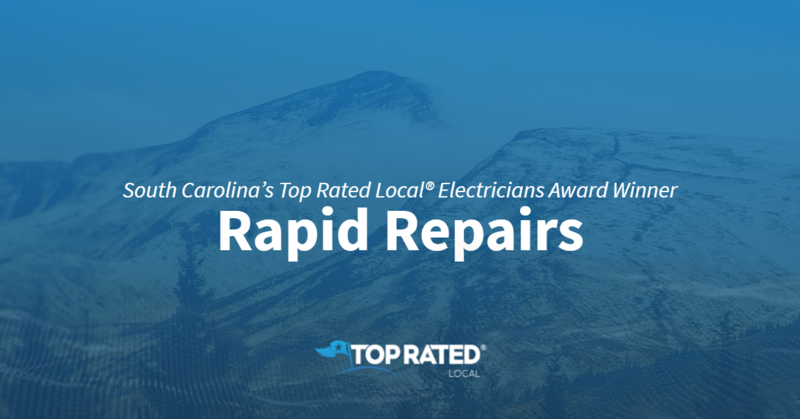 Top Rated Local® is pleased to announce that Rapid Repairs is an award winner for electricians in 2019. If you are looking for an electrician that is willing to provide transparency and guarantee their work, look no further than this award-winning company! Rapid Repairs has received many overwhelmingly positive reviews across three different verified sites with an average rating of 4.74 stars, earning them an impressive Rating Score™ of 93.39 and a 2019 Top Rated Local award for ranking as one of the top 10 electricians in South Carolina! “Rapid Repairs offers peace of mind. All of their employees have passed background checks; they are a drug-free work environment, and their techs are uniformed in company-identified vehicles. Their pricing is listed on their website, and they are willing to provide quotes before work begins. If you value peace of mind from a licensed company, look no further. Rapid Repairs is your one-stop shop for home repairs.” – B.M. It is because of excellent reviews like this that Rapid Repairs is now able to call themselves a Top Rated Local award winner! We were excited to learn all about how Rapid Repairs has been able to build such an impressive reputation, so we sat down with the company President, Bryan Miller. After 20 years in business, Bryan says that there is no task too big or small for them. With as impressive a reputation as Rapid Repairs has built over the years, we were excited to learn more about some of the ways they have marketed their business. Bryan told us that they place a lot of value on word-of-mouth reviews and referrals, and that their trucks are wrapped and out in the community. Congratulations to Rapid Repairs for being a 2019 Top Rated Local award winner, and special thanks to Bryan for taking the time to speak with us! Top Rated Local® is pleased to announce that Right Electrical Services LLC is an award winner for electricians in 2019. If you are looking for an electrician that is thorough, service-oriented, and reputable, look no further than this award-winning company! Right Electrical Services LLC has received many overwhelmingly positive reviews across four different verified sites with an average rating of 4.84 stars, earning them an impressive Rating Score™ of 97.38 and a 2019 Top Rated Local award for ranking as one of the top 10 electricians in North Carolina! “The quality of service that I received from Right Electrical has been, hands-down, the best home repair service I’ve ever received. Their responsiveness is unmatched; the level of knowledge of the technician (Jason) was superior, and the overall value of their services is reasonable. I called to request the service at 8:00 a.m. on Super Bowl Sunday, and by 2:00 p.m., everything was fixed and returned to working order.” – D.R. It is because of excellent reviews like this that Right Electrical Services LLC is now able to call themselves a Top Rated Local award winner! 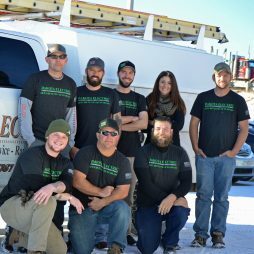 We were excited to learn all about how Right Electrical Services LLC has been able to build such an impressive reputation, so we sat down with the owner, Angela Rose. The first thing we wanted to know was what it is that makes Right Electrical Services LLC stand apart from their local competitors. We learned that they have an unlimited license, which is very difficult to get. In fact, a company needs to have many years’ experience before even being allowed to take the exam. Angela told us that a part of her business mission is to follow the golden rule — treat others the way you want to be treated. She makes it a point to hire people that will follow that mission and treat their clients with respect. Right Electrical Services LLC has managed to build an impressive reputation, so we were excited to learn more about how they have marketed themselves over the years. We learned that they have someone in-house who does all of their marketing and online advertising. We were not surprised to learn that word of mouth has been their primary source of new business. They ask their clients to leave reviews, and they always respond to those reviews. Congratulations to Right Electrical Services LLC for being a 2019 Top Rated Local award winner, and special thanks to Angela for taking the time to speak with us! Top Rated Local® is pleased to announce that Randy’s Electric is a 2019 award winner for electricians in Minnesota! 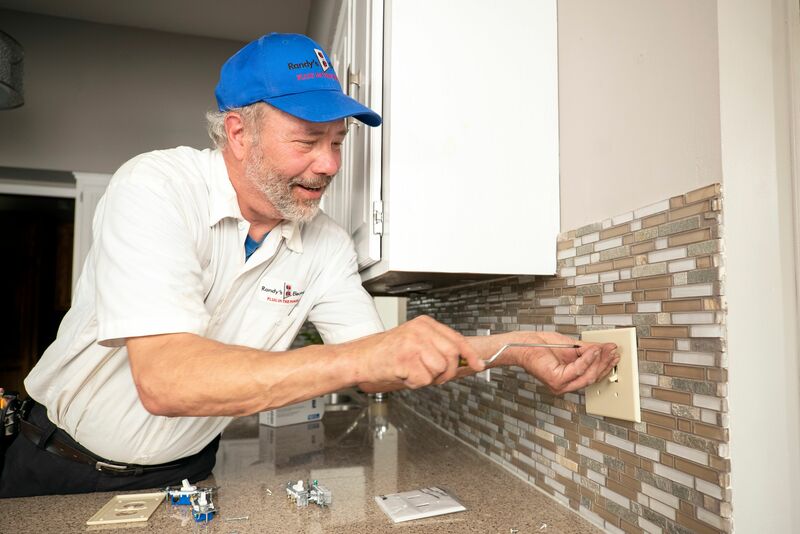 If you’re looking for an electrician you can rely on in Minneapolis, look no further than Randy’s Electric. “Randy’s did an amazing job in getting the detail and specifics correct for the entire job. You always get a text confirmation, and they showed up on time and worked extremely hard. I work in the construction/ remodeling industry, and finding consistent and hard-working people is difficult. I am very thankful we used Randy’s and appreciate their company and what they stand for. I love finding companies who provide excellent customer service, friendly staff, hire veterans (our tech had just got out of eight years in the Navy) and are willing to work with the customer. Thank you, Randy’s!” – Lisa W.
We wanted to learn a little more about this award-winning business and its stand-out online reputation, so we took a few minutes to talk with Dan Smith, Marketing Director at Randy’s Electric. He went on to share Randy’s Electric’s core values with us, which are: service, integrity, communication. Outside of building a powerful online reputation, Randy’s Electric has gotten their name out there through radio, magazine and online advertising, word of mouth, truck wraps and signs. Congratulations to the team at Randy’s Electric for being a 2019 Top Rated Local award winner, and thank you so much, Dan, for taking the time to speak with us! We highly recommend Randy’s Electric in Minneapolis. Visit their website today! Kansas’ Top Rated Local® Electricians Award Winner: Graf Electric Inc.
Top Rated Local® is pleased to announce that Graf Electric Inc. is an award winner for electricians in 2019. If you are looking for an electrician that is known for their years of experience and exceptional customer service, look no further than this award-winning company! Graf Electric Inc. has received many overwhelmingly positive reviews across four different verified sites with an average rating of 4.84 stars, earning them an impressive Rating Score™ of 97.39 and a 2019 Top Rated Local award for ranking as one of the top five electricians in Kansas! “Each time we’ve worked with Graf, they have been timely and efficient, no matter how large or how small the job. They are the only electricians I have on my contact list.” – E.B. It is because of excellent reviews like this that Graf Electric Inc. is now able to call themselves a Top Rated Local award winner! We were excited to learn all about how Graf Electric Inc. has been able to build such an impressive reputation, so we sat down with the Manager, Rob Adams. The first thing we wanted to know was what it is that makes Graf Electric Inc. stand apart from their local competitors. Rob humbly tells us that they’re really not that different from their competition. If there’s anything that makes them stand out, it’s that they always answer the phones. The crew at Graf Electric is dedicated to customer service. Graf Electric Inc. has been in business since 1968, and can proudly boast that they can offer an average of 25 years of experience per electrician. They even have third and fourth generation electricians working for them. Rob shared with us that any reputation they have is due to his team. Congratulations to Graf Electric Inc. for being a 2019 Top Rated Local award winner, and special thanks to Rob for taking the time to speak with us! 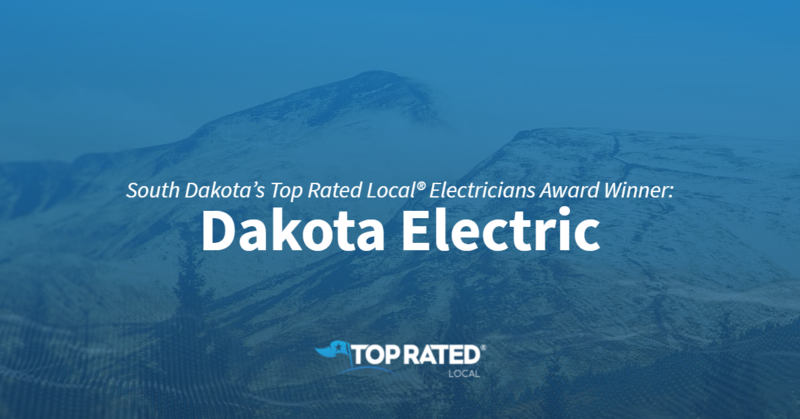 Top Rated Local® is pleased to announce that Dakota Electric is a 2019 award winner for electricians in South Dakota! If you’re looking for a local electrician who you can trust with all of your electrical needs in Saint Onge, look no further than Dakota Electric. Dakota Electric has received dozens of reviews on multiple verified sites with an average rating of 4.64 stars, earning them a fantastic Rating Score™ of 90.43 and a 2019 Top Rated Local award for ranking among the top 10 electricians in all of South Dakota! “Dakota Electric met their schedule and was professional in their communications and in their work for me. They listened and understood what I wanted, and if they deviated at all, it was only to improve the final result. I was quite pleased.” – Richard P.
Brent Olson, the President and owner of Dakota Electric, generously gave us a few minutes of his time to tell us about his award-winning business and its impressive online reputation. Brent attributes Dakota Electric’s strong online reputation to the fact that they have a loyal customer base and that they always stand behind their work. Outside of building a powerful online reputation, Dakota Electric has spread the word about who they are and what they do through their website and Facebook, Instagram and LinkedIn presence; however, Brent told us that the majority of their business comes from word of mouth and returning customers. Congratulations to the team at Dakota Electric for being a 2019 Top Rated Local award winner, and thank you so much, Brent, for taking the time to speak with us! We highly recommend Dakota Electric in Saint Onge. Mississippi’s Top Rated Local® Electricians Award Winner: Russell Electric Inc.
Top Rated Local® is pleased to announce that Russell Electric Inc. is a 2019 award winner for electricians in Mississippi! For all of your electrical needs in Bay Springs, there’s no better company to turn to than Russell Electric. Russell Electric has received more than 100 reviews with an average rating of 4.90 stars, earning them a superb Rating Score™ of 91.00 and a 2019 Top Rated Local award for ranking among the top 10 electricians in all of Mississippi! In order to learn a little more about this award-winning business and its impressive online reputation, we took a few minutes to talk with Chad Russell, the owner of Russell Electric. To kick off our conversation, we asked Chad what sets Russell Electric apart from the many other electrical companies in Mississippi. He points to the fact that they’ve been providing professional work for more than 15 years now. Chad attributes the strong online reputation that Russell Electric has to their many positive customer reviews. Outside of building a powerful online reputation, Russell Electric has spread the word about who they are and what they do through their website and their branded vehicles. Congratulations to the team at Russell Electric Inc. for being a 2019 Top Rated Local award winner, and thank you so much, Chad, for taking the time to speak with us! We highly recommend Russell Electric! Visit their website today. Top Rated Local® is pleased to announce that Lavallee Electrical Services is a 2019 award winner! “I got a same-day appointment (only three hours from my phone call — sweet!). They were prompt and got the job done quickly. They even helped replace the power cord to the septic system, which happened to go bad while they were around (even though it was unrelated to the A/C unit.) They had no problem answering any questions I had and were very friendly overall. The prices were definitely reasonable, so I would have no problem calling them again for future issues (or upgrades). Two thumbs up!” -Eric G.
That’s just one of the many terrific reviews Lavallee Electrical Services has received, giving them an 89.16 Rating Score™, a 4.72 average star rating, and a spot among the top 10 electricians in Mississippi. 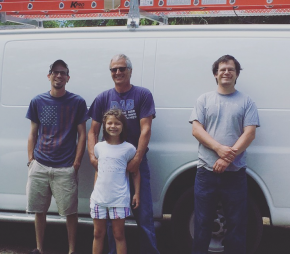 Paul Lavallee, the owner of Lavallee Electrical Services, took some time to speak with us about his business’ online reputation and overall success. Congratulations to the team at Lavallee Electrical Services for being a 2019 Top Rated Local award winner, and thank you so much, Paul, for taking the time to speak with us! 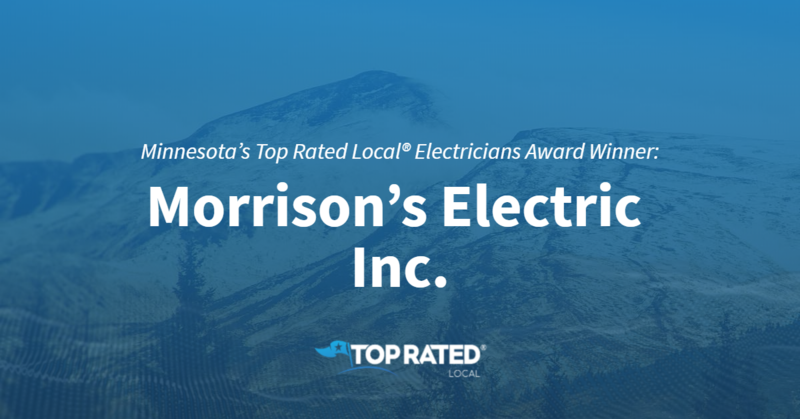 Minnesota’s Top Rated Local® Electricians Award Winner: Morrison’s Electric Inc.
Top Rated Local® is pleased to announce that Morrison’s Electric Inc. is a 2019 award winner for Electricians in Minnesota! If you’ve got an electrical issue in Minnesota, we highly recommend one of the top rated electricians in all of the state: Morrison’s Electric Inc.
Morrison’s Electric Inc. has over 30 reviews on two verified sites with an average rating of 5.00 stars earning them an impressive Rating Score™ of 95.00 and a 2019 Top Rated Local award for being one of the top 10 electricians in the entire state of Minnesota. “Dave from Morrison’s Electric came out to my house to help with the install of a new ceiling fan. The install of the new fan was a little more difficult than expected due to some mistakes made by whoever installed the old ceiling fan. Nevertheless, Dave knew exactly how to handle the issues and got the new fan installed in an efficient and safe manner. Although it was not a “big” job, Dave really focused on doing it right and ensuring we were pleased with the work. Morrison’s Electric will be our first call for all our future electrical needs.” – Lance J. We took a few minutes to speak with Dave Morrison, manager and lead technician of Morrison’s Electric Inc., to learn a little bit more about the business and how they managed to build such an incredible online reputation. We also wanted to understand what Dave and the rest of his team’s mission is every single day and how they make the world a better place. Dave said that they try to make an impact by living into the reason the company was built in the first place. He explained that they try to be the best that they can be in every aspect of their work. In order to do that, they supply the highest quality service, workmanship, and parts. Congratulations to the team at Morrison’s Electric Inc. for being a 2019 Top Rated Local award winner, and thank you so much, Dave, for taking the time to speak with us! Learn more about this business online today.